The Cohiba Lanceros is a beautiful medium to full Habanos of Laguito No.1 format, with 38 ring gauge, 7.6” (192mm) long and comes in a box of 25 cigars. The price is not a deterrent for this beauty, thanks to its beautiful presentation in a varnished wooden box, and its perfect construction. One of the best looking vitolas out of Cuba, another reason that explains why it is among Castro’s favorite cigar. The prince of its format Not in vain, before the Cohiba brand was marketed, this was the emblematic Habano which the Goverment of Republic of Cuba used as an official state present for its guests. Another version of the same, the Trinidad, now continues to fulfill that assignment. It's a marvel of nature transformed into a work of art by the best torcedors. The most elegant Havana is not for smoking anywhere anytime. Varnished wooden boxes containing 25 or 50 Havanas. Tins containing 5 Havanas, individually wrapped in cardboard. Rich taste due to the professional presentation. The good quality of the cedar wood used and the fact that the box is varnished give off an exquisite scent when you open the box. However, this presentation has an inconvenience, it stops the procedure of aging, so keep the box a little bit opened in your humidor if you conserve your cigars in their original boxes - which is highly recommended. When it's "raw", the Lanceros delivers a dark honey taste with a lot of cedar-spicy notes. Fantastic regular draw. In spite of his thin shape, the Lanceros delivers a rich and round smoke. Dark honey and cedar notes seasoned with a gentle spiciness in the first and second third. We noticed a vegetal earthiness at the beginning. After the second third, spicy notes are dominant, however, the rich aromas are still present, especially the honey taste. A great final, without being aggressive, it's enough strong to satisfy a connoisseur. I love the lanceros. They are so fragrant. Perfect burn. Sometimes they can be underfilled, bu these were outstanding. Despite it’s evident qualities and it’s flawless construction, it tends to leave me unsurprised and wanting more. Lancero is my favourite cigar ever. I like to smoke it after a good breakfast, or at a long afternoon. My box is nearly five years aged with lots of tastes I had nut ,cacao and mix of light cinnamon and coffee. It burns perfect. Although the price is high for a laguito , it longs for an hour and worth the price. Must try cigar. 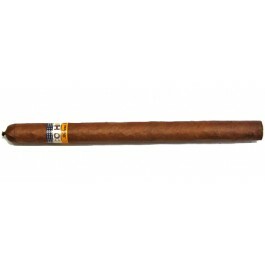 This Cuban cigar will offer the "classic" Cohiba taste from start to finish. I can't say that I am an experienced enough smoker to offer tastes to the experienced palate such as "grassy" or "earthy" or anything like that, but those do come to mind, as well as other words, such as "creamy" and "tasty". I would say that the spice and more complex flavors will come out over time as they age in my humidor and the natural oils of the tobacco and wrapper have a chance to represent themselves more dominantly. The first one I smoked drew nicely and evenly offering me long ashes in the tray afterwards. 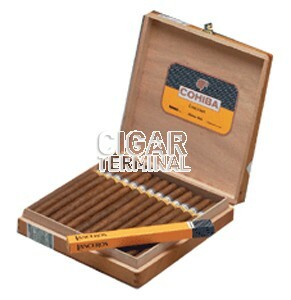 The stories of this cigar being a gift of the Cuban government to diplomats and foreign dignitaries should suggest to the consumer that it's worthy of it's reputation as one of the best and classic smokes that Cohiba has to offer. Purchase and smoke it in good health and with satisfaction!